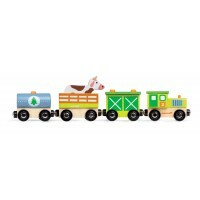 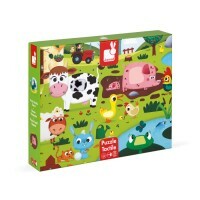 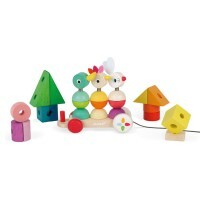 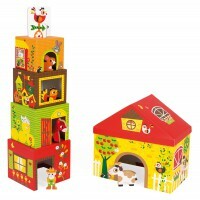 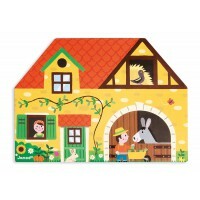 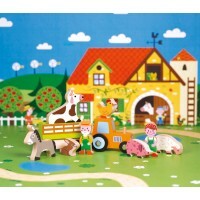 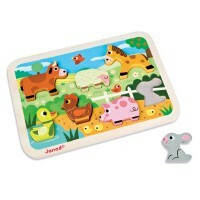 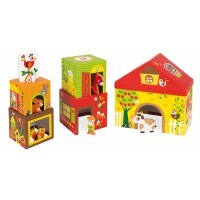 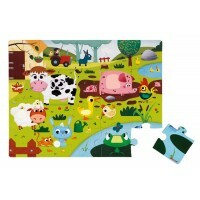 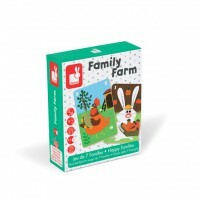 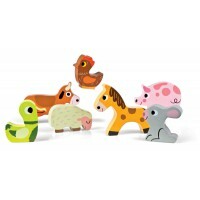 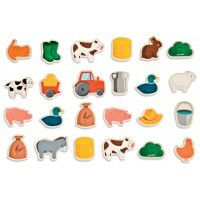 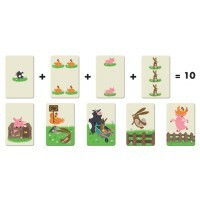 Put on your wellies and help the farmer tend his animals in this traditional farm story box set. 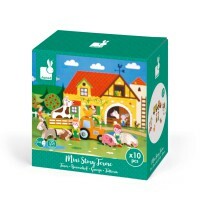 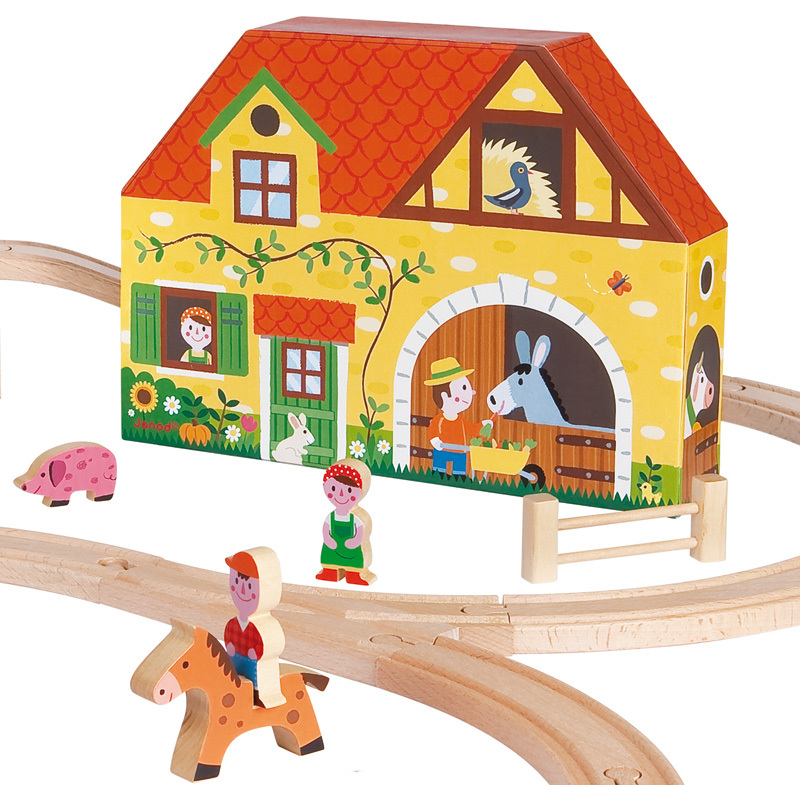 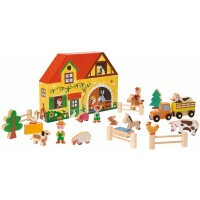 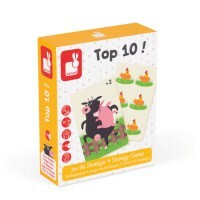 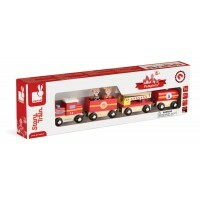 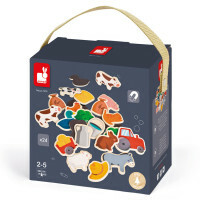 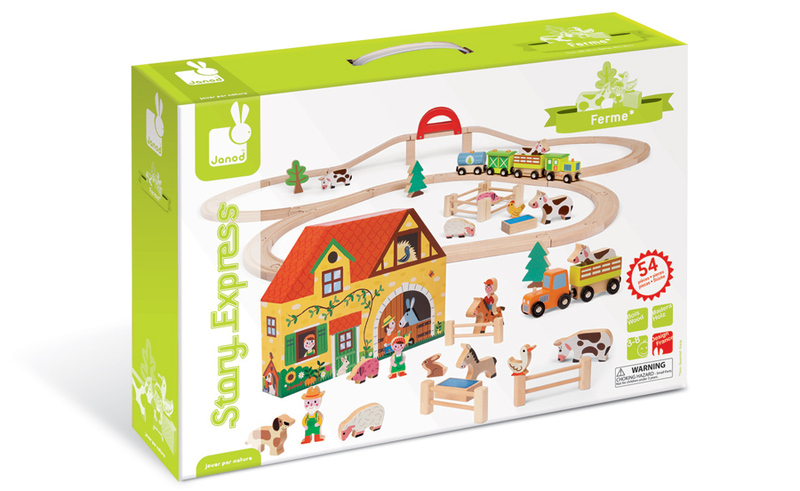 The box is made from heavy duty card designed for play while the 23 wooden figures include and farmer and his wife, various animals, a tractor and other farm pieces. 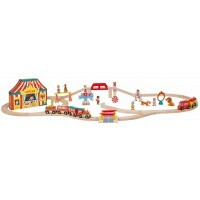 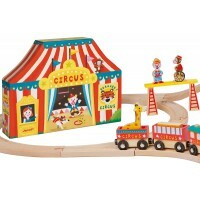 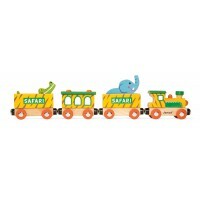 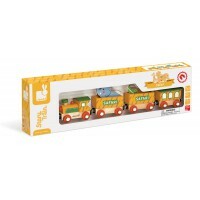 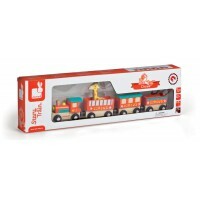 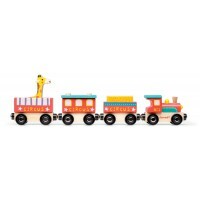 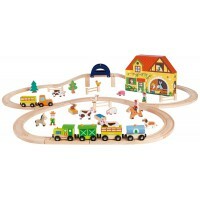 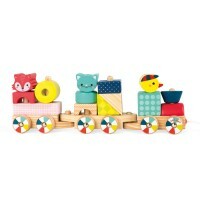 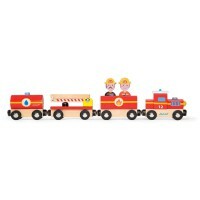 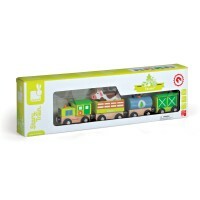 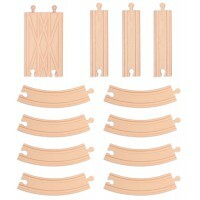 Completing the set is a 5 piece train set and circuit track. 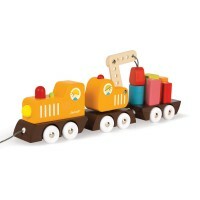 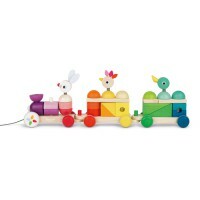 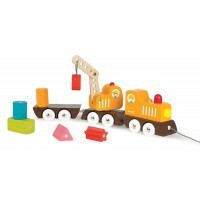 A perfect addition to any playroom for boys and girls alike.